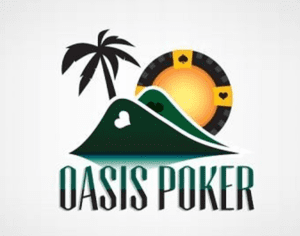 Oasis Poker is a table game which is a variation of the Caribbean stud. Caribbean Stud Poker is a global game with multiple followers all over the world. The game appears to be repetitive with a very simple strategy. Oasis poker variation varies in the theme and adds around to the mix. The added round may complicate matters just a tad, and at the same time, the players get a good chance to win every hand. The chance of getting better betting odds is existent, though it does come at a price that tends to be costly. At the start of every online poker hand, the player makes an ante bet. They can also opt to make a bonus bet or a side wager. Deal five cards to the player and the dealer. If a video poker player so wishes, they can look at their cards. Only one of the dealer’s card is face up, and the rest are face down. This is where the main differences between the oasis poker and Caribbean stud come in. At this point, the player can choose to discard any given cards and replace them with new cards in the deck. This would be in the attempt to better the hand they already have. The switch is not free, however, and the player gets to pay for it. The cost depends on the number of cards to be switched. • One card is equal to the ante bet. • Two cards are twice the ante bet. • Three cars thrice the ante bet. • Four cards are double the ante bet. • Five cards equal ante bet. After the decision has been made to change or not change the card, Decide to raise or fold next. A player who chooses to fold has forfeited their ante bet and immediately ends their hand. If a player decides to raise, then they are expected to make a raise bet twice the ante bet. The dealer reveals his hand once a player raises. To get a qualifying hand, the dealer should have not less than ace-king high. In cases where the dealer does not qualify the player wins money including that on the ante, and the raise bet pushes. • Royal flush pays 100-1. • A straight flush pays 50-1. • Four of a king pays 20-1. • The full house pays 7-1. • Three of a kind pays 3-1. • Two pair pays 2-1. • One pair or less pays 1-1. Other versions of this game offer a jackpot progressive side bet based entirely on the strength of a players hand and the first five cards before any switch is made. • Royal flush pays 100% of the progressive jackpot. • Straight flush pays 10% of the progressive jackpot. • Four of a Kind pays $100. • The full house pays $75.